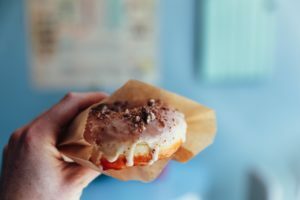 Struggling to Control Your Cravings? Use the NOT principle! We all have cravings. We all want to skip workouts. 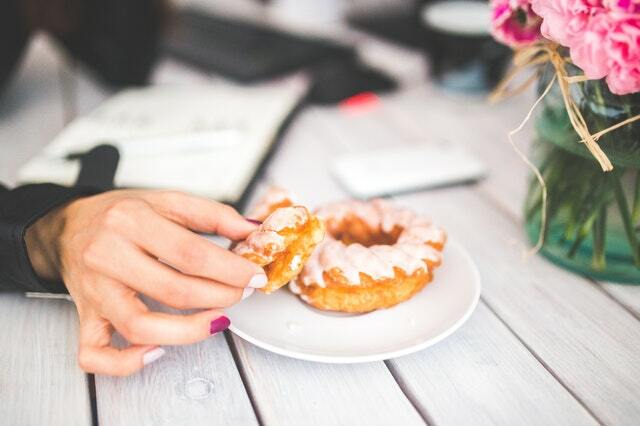 We all do the “should I or shouldn’t I?” internal health debate…BUT you are NOT your cravings or your unhealthy thoughts! Just because you have an unhealthy thought — we all do — doesn’t mean you have to act on it. You CAN control your unproductive/unhelpful thoughts – your “negative brain propaganda”. Learn how to manage cravings and urges. Embrace that you are NOT your unhealthy thought. How? Adopt my NOT protocol for impulse control. O stands for understanding the why and being open to change. Work to understand what is driving the craving — are you sad, bored, tired? Then work to change that why. The trick to changing the why is that you have to be open to modifying your life rhythms, priorities, and mindset. For example, if you are eating for an energy boost because a lack of sleep has left you exhausted, you have to be open to modifying your priorities so you can sleep. You have to be open to actually changing, not just talking about changing. Ask yourself, “Where has my current thinking got me thus far?” If you are not happy with the answer, then ACT to solve. Take small steps if needed, but take steps. Don’t just “wish” for better health. Make a plan. Health is an active process. T stands for time. Make yourself hit the “pause button” on your craving. Distract yourself. Break free of your destructive thought. Play a game, go for a walk, get involved in a fun conversation, or put together a puzzle. Anything that disconnects you from the thought. Here are two examples of how my NOT protocol plays out in my personal internal dialogue. When I want to have an unhealthy treat I say, “Kathleen, you are craving this because you are X (tired/sad/mad/bored/etc). You are stronger than this urge. Distract yourself from this desire. Do something — anything — for 30 minutes. If after 30 minutes you decide you are hungry (vs tired or sad) you can have a small portion of something healthy.” I give myself a time delay between desire and follow through. The trick is to make sure the time delay is not passive. Passivity is your enemy — activity is your friend. Kathleen Trotter is a Personal Trainer, Globe and Mail columnist, pilates equipment specialist, Huffington Post blogger and fitness writer, located in downtown Toronto. Her services include personal training, personalized programs, group seminars and fitness writing. 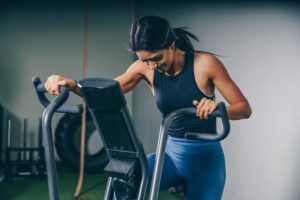 Visit her Fitness Training page to learn more and be sure to sign up for her newsletter to keep up to date with fitness news, recipes and more. You can also purchase her latest book Finding Your Fit on Amazon.